It’s a busy time here at Clipper Race HQ. Just four weeks into training at our UK and Australian training centres since the winter break, and 18 courses have already been completed by international crew members as they prepare for their adventure of a lifetime. Jonathan is a self-confessed lover of the sea and enjoys water sports. On return from his Level 1 training he says: “It’s been an interesting week with a whole bunch of new experiences, I’ve never sailed before and I’m not used to the UK weather so I had no idea what I was getting myself into! “I have wanted to learn how to sail for a couple of years now. I’ve never got to do it but I am always buying sailing magazines. 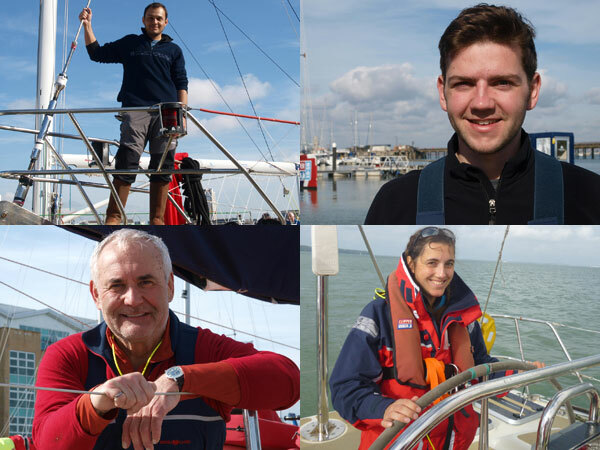 I saw the Clipper Race and thought it was a perfect way to learn sailing and experience ocean racing,” he adds. “We had great instructors, I enjoyed the teaching style they had and our team had a close bond,” says Henrik who is currently studying for his Batchelor in International Business at university in the Netherlands and will finish his sixth semester just before the start of his circumnavigation as a round the world crew member. Henrik can speak fluent German and English and conversational Dutch, French and Portuguese. “I had some great moments, helming for the first time was awesome. Suddenly you have the power of such a big boat and you can really feel its power. Having all the sails up was a great experience for me but also being on the bow, hoisting the sail was a great experience and also climbing the mast to take down the mainsail. I was shaking to hold onto the mast, it was exhilarating,” he adds. A leader of her local Brownie group, Ruth is incorporating her journey into their programme says the girls will keep her spirits high as she sails around the world. “Being in a watch system was brilliant and understanding how that works, it’s amazing how you think you are not going to be able to sleep in the middle of the day for two hours then you get in your bunk and pass out. It’s a bit confusing though because it feels like one day lasts a week!